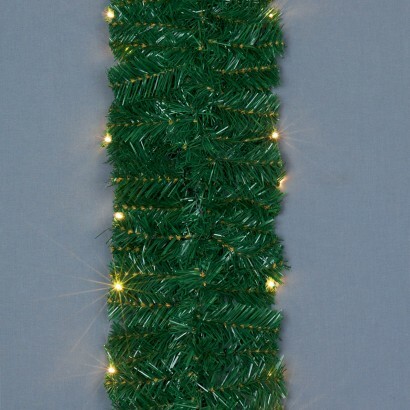 Unravel the 2.7m garland night light for instant Christmas cheer wherever you choose to hang it! 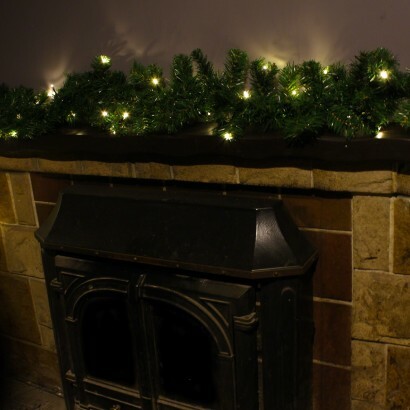 A pre-fairy lit festive garland that's ideal for wrapping around stair banisters, doorways, fences, railings and more, this versatile garland can be used either indoors or outdoors. 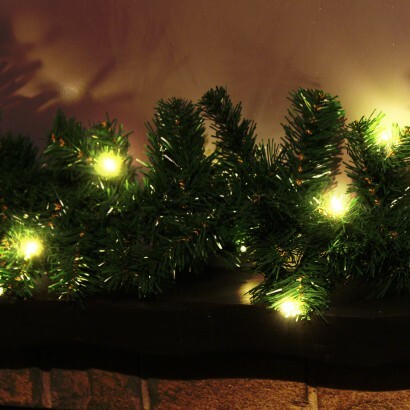 Battery operated (with a waterproof battery compartment), there's no need for a mains connection, and the light sensitive timer means that this pretty garland senses darkness to switch on for six hours at a time filling your home or garden with magical warm white fairy lights.